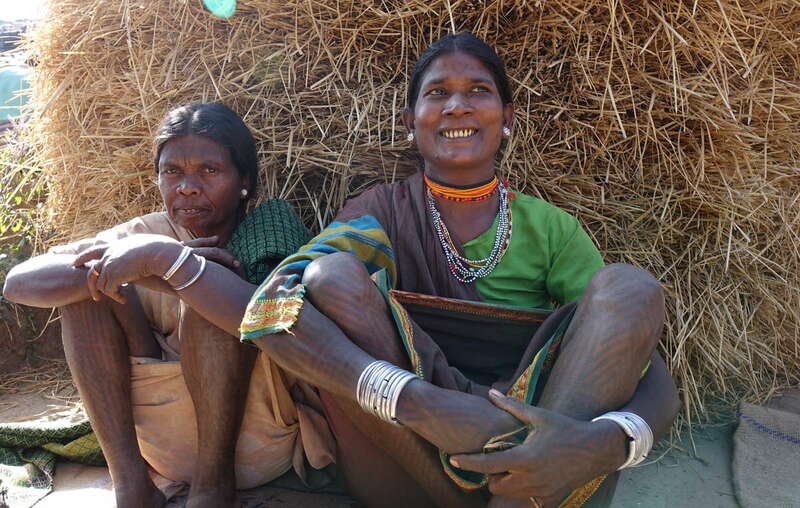 Baiga women threatened with illegal eviction, Achanakmar Tiger Reserve. The villagers are determined to stay and say they don’t want to leave their forest home. Hundreds of Baiga people from the area that inspired Kipling’s The Jungle Book are rallying to oppose the authorities’ attempts to evict them from the forests that they have lived in and managed since time immemorial. 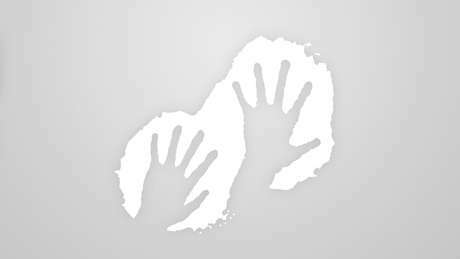 Baiga tribespeople are joining forces from over 70 different villages in an area of 1,500 square kilometres. The protests have been sparked by official efforts to evict two Baiga communities from a wildlife “corridor”. Dozens of neighboring Baiga communities are now terrified they will be next, as they face poverty, exploitation and misery if forced from their homes. 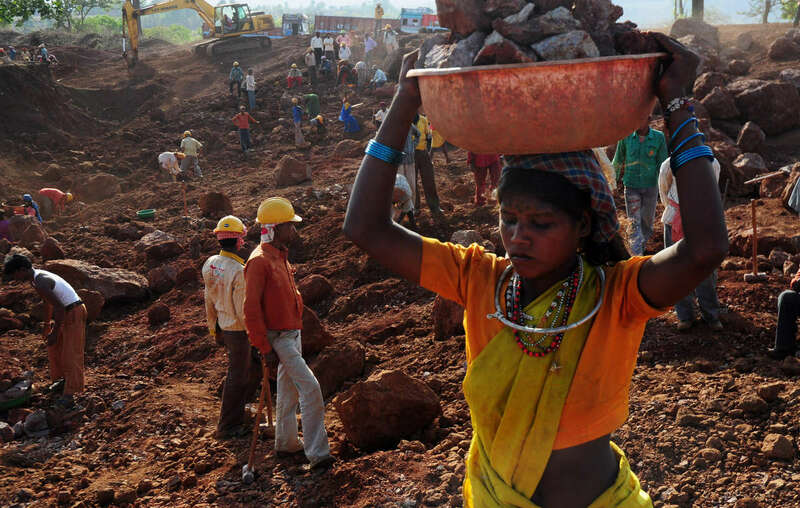 The fate that could await many Baiga threatened with illegal eviction: a Baiga woman works for a pittance in a bauxite mine. The Baiga are particularly worried by the two upcoming evictions, as both state authorities and the World Wildlife Fund (WWF) promised that evictions would not take place in the “corridor” areas, which run between the protected nature reserves. By law, any resettlements of tribal people must be voluntary, even for those living in designated conservation areas. However Baiga people report threats, intimidation and violence until they have no choice but to leave their homes. 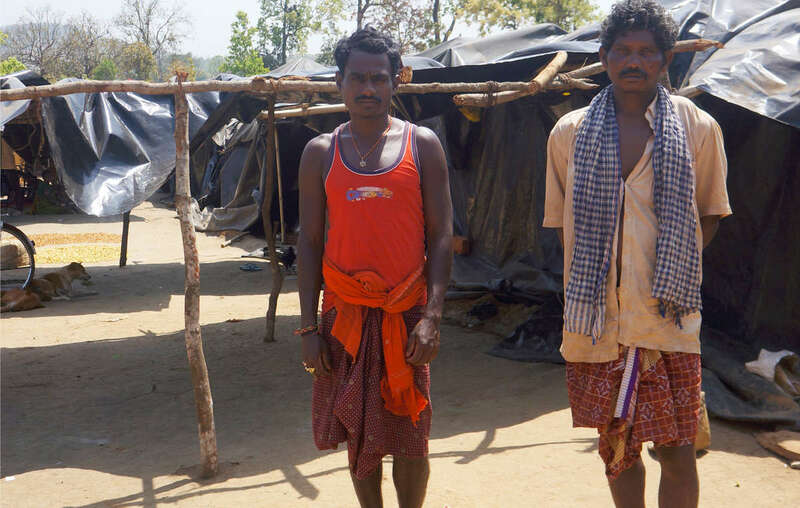 These Khadia tribespeople were evicted from a tiger reserve and forced to live for months under plastic sheets. Promises of “compensation” are rarely fulfilled. This weekend’s protest is a local flashpoint in an ongoing national issue. Tribal peoples living in tiger reserves across India are being forced to leave their ancestral homelands in the name of tiger conservation. However, tiger numbers have increased rapidly in the first reserve in India where a tribe won the right to stay on their land, showing people and tigers can flourish alongside one another. Survival International, the global movement for tribal peoples’ rights, launched a tourist boycott in November last year, urging visitors to India not to visit any of India’s tiger reserves until the Indian tiger authority respects tribal peoples’ rights to live in and protect their forests. - Baiga means “medicine man.” Baiga people are known for their distinctive tattoos, and for their very close relationship to their environment. - Tribal people were evicted from Similipal tiger reserve in 2013, and were soon after found living in dire conditions under plastic sheets.